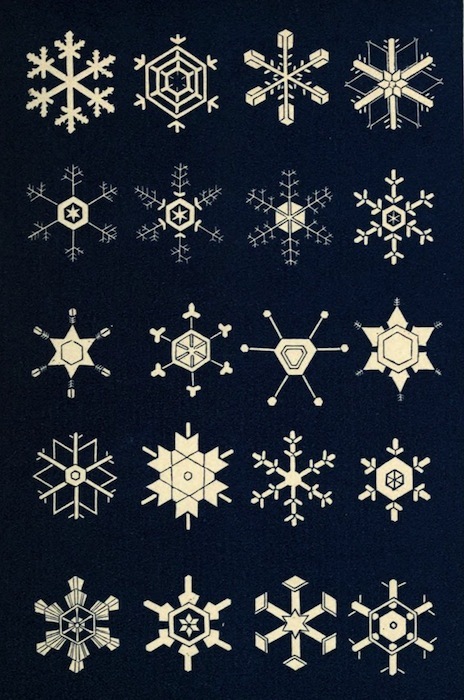 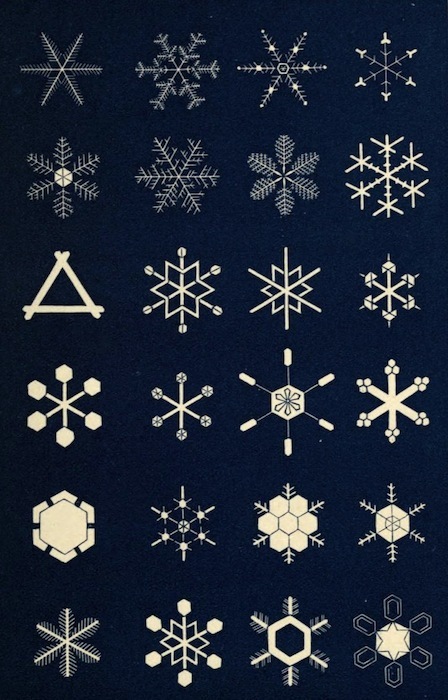 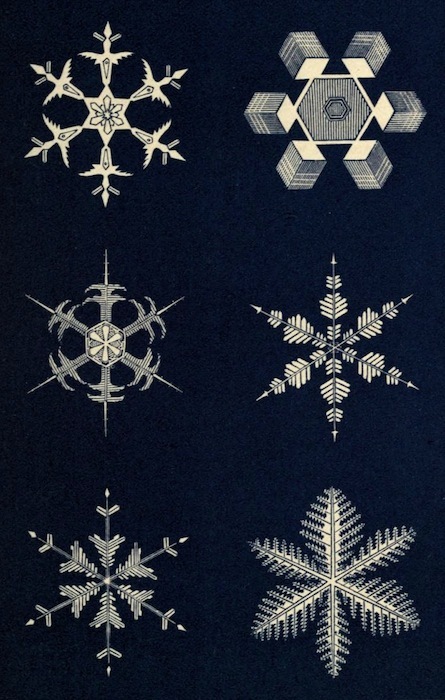 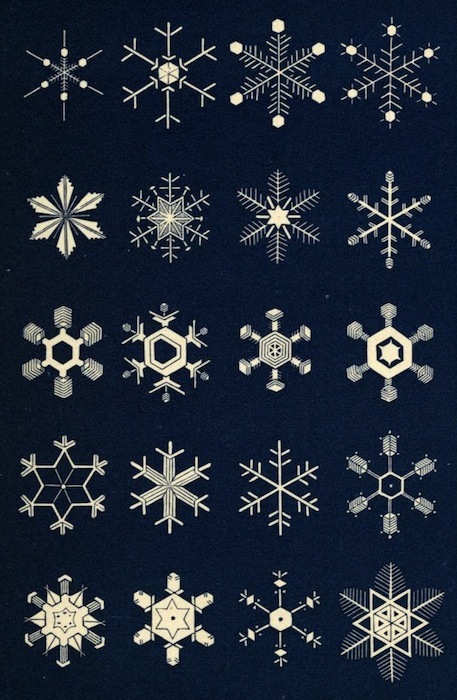 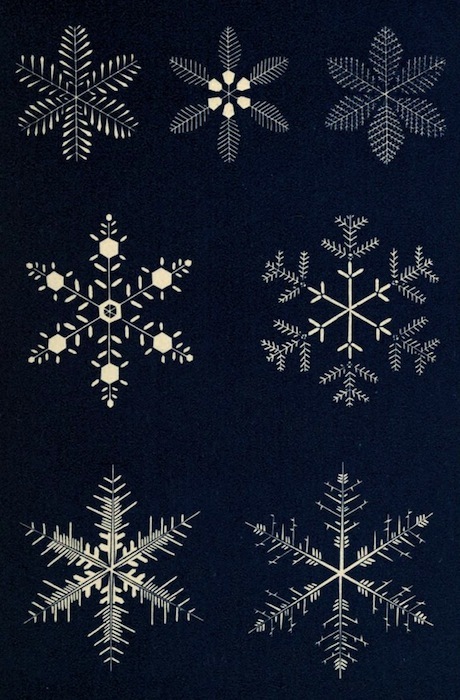 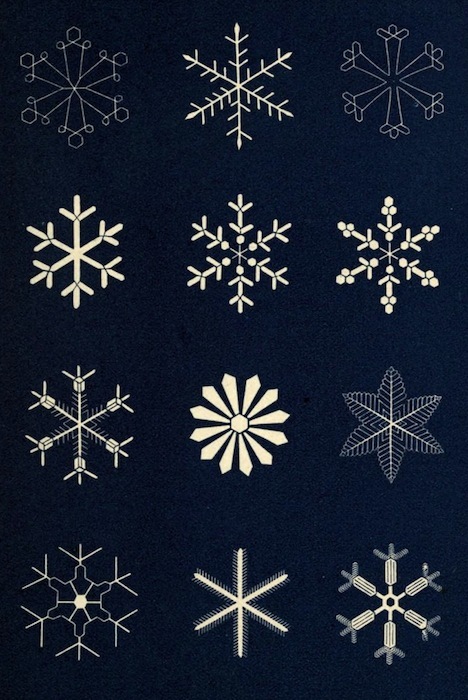 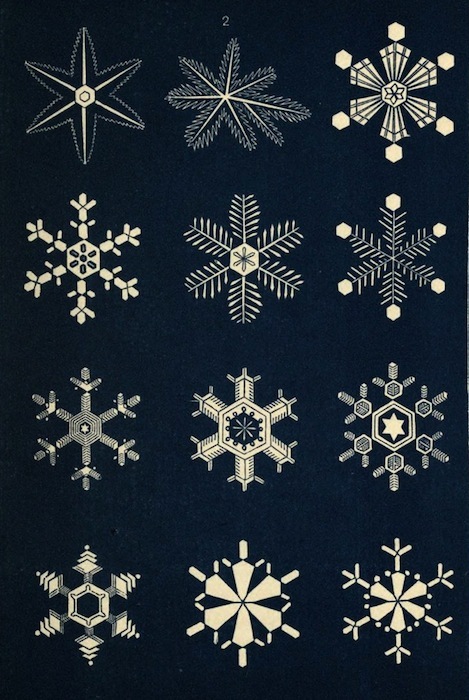 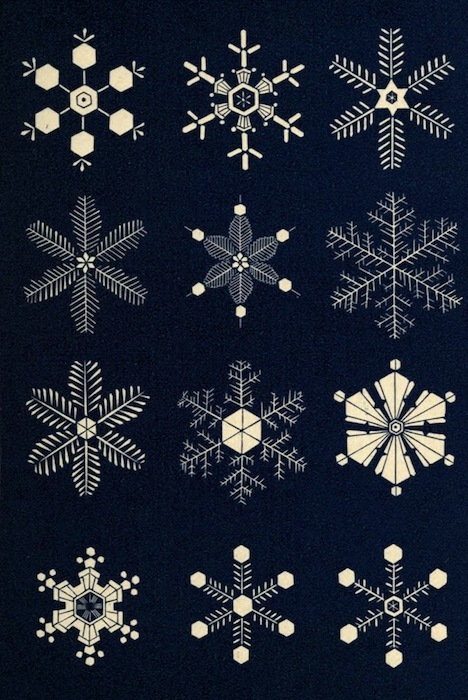 The illustrative plates from Snowflakes: a Chapter from the Book of Nature (1863), a collection of poems, extracts, anecdotes and reflections on the theme of snow and the snowflake. 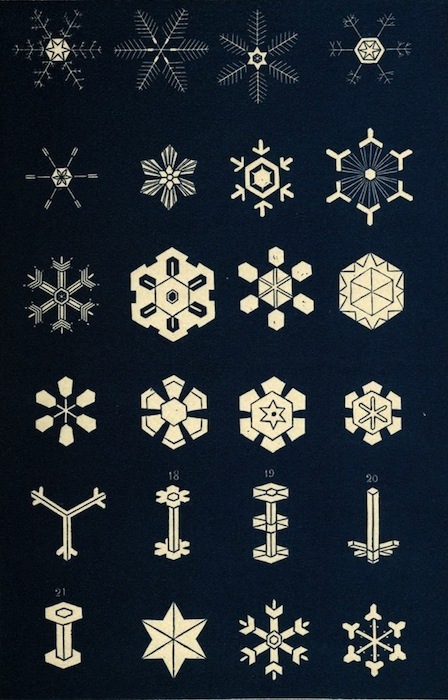 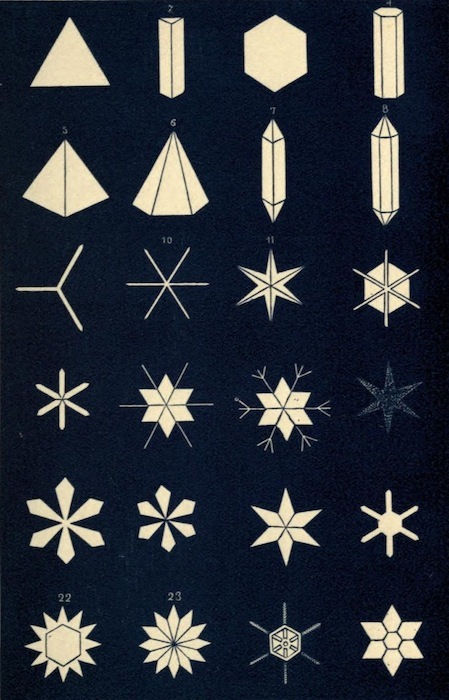 According to the preface of the book, apart from the first few geometrical figures at the top of the first plate, which show the primary geometrical forms under which the snow-vapor crystalizes, all the other forms shown are “representations of individual crystals, actually observed and sketched with the aid of the microscope”. 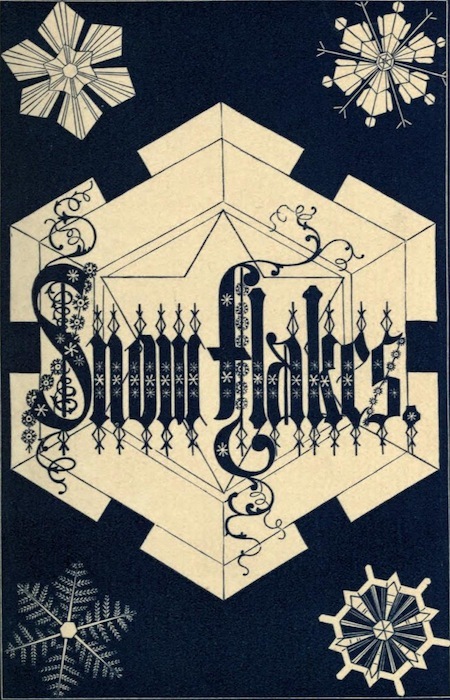 See the full book, including various poems and extracts from literature related to snow, here in our Books collection. 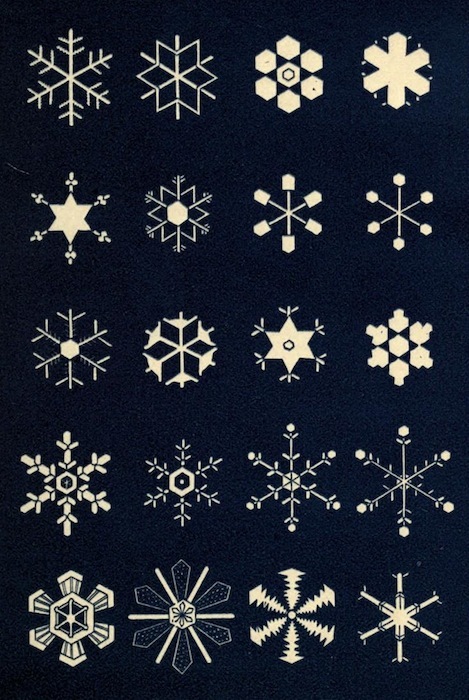 For some more snowflake related content have a look at Keith C. Heidorn’s article on Wilson Bentley, “The Snowflake Man of Vermont”.